A sophisticated occasional chair with leatherette upholstery and chrome steel frame. The Carbon chair has a leatherette upholstery in black or white with a chrome steel frame. 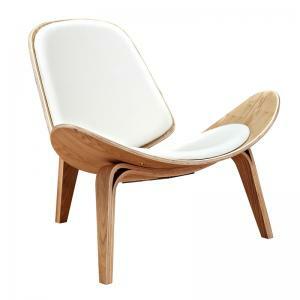 A contemporary lounge chair for your living area. 25.2" W x 28.3" D x 26.4" H, seat height 19.5", seat depth 20"